Fairy tales and stories ignite imagination, fuel our dreams and delight us with their wonderful adventures. 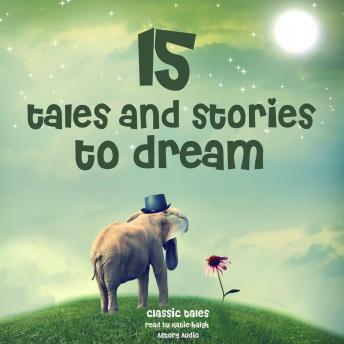 The classic stories in this compilation have been specially selected for their ability to let us dream, by sending us into fantastic worlds, full of lively characters and endless possibilities. Discover or let your children discover these essential fantastic stories and share the pleasure of narration. This compilation includes folk tales from Japan and India, for their evocative power and exoticism; classic tales by Charles Perrault and Hans Christian Andersen, and stories from the Arabian Nights, narrated in a warm and lively way. Collected for your pleasure: The Surprizing Adventures of Baron Münchausen; The Alligator and the Jackal; The Enchanted Horse; The Story of Peter Pan, by James Barrie; Tom Thumb; The Snow Man, by Andersen; Rapunzel; Ali Baba and the Forty Thieves; The Story of the Youth who went forth to discover what Fear was; Sinbad the Sailor; The Jellyfish and the Monkey; The Story of Caliph Stork; The Battle of the Monkey and the Crab; The Fairies, by Charles Perrault; and Riquet with the Tuft.